Public Poll Results: Seawolves Reign Supreme! 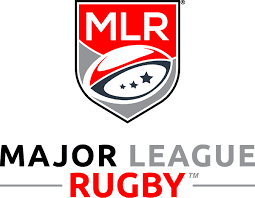 It should come as no surprise that when asked, the public overwhelmingly picked last year's champion Seattle Seawolves as the first place team going into Major League Rugby's second season Saturday, January 26. In an unscientific poll conducted my Earful of Dirt Jan. 18-23, the Seawolves were voted #1, followed by last year's runners up, Glendale Raptors. Positions three through six all came in relatively close in the voting, with Toronto Arrows, Rugby United New York, San Diego Legion, and NOLA Gold filling those four sports. At the bottom of the list, Austin Elite Rugby, Utah Warriors, and the Houston SaberCats fill positions seven through nine. These results are similar to those produced internally by the Earful of Dirt staff. In that poll Seattle and Glendale topped the list, with NOLA and Utah rounding out the bottom spots. Almost 100 respondents filled out the public poll.